Home is where we feel comfortable and secure. We share it with the people we love the most in the world. High-quality housing can intensify these feelings. Since every human being is special, and so is every family, everyone needs a home that meets their own needs and wishes. As a real estate development company with a long-term experience in business, we are highly motivated by our clients’ needs and we do our best to meet them. Our projects are characterized by first-rate contemporary architecture, high-quality construction and ingenious spirit, all of which make them original and unique. As are the people who will live in them. Rosemary District Development, LLC, is a subsidiary of DBD Group, formed for the purpose of building Zahrada. When scouting a place to build Zahrada, the team fell in love with the Rosemary District and its combination of urban and downtown Sarasota living with a rich, cultural heritage. The name Zahrada perfectly reflects this enchanting tropical oasis, giving a nod to the team’s cultural heritage. HALFLANTS + PICHETTE is an award winning modern design-build practice located in Sarasota, Florida. With every project, our goal is to create thoughtful, site-specific designs that respond to the client’s program by finding inspiration within the constraints of the project. Our approach to modern architecture is process-oriented, deliberately avoiding preconceived solutions. We collaborate closely with our clients, engineers, and craftsmen to carefully develop each project. Halflants + Pichette provides a range of services that include architecture, interior design, feasibility studies, and full construction service. 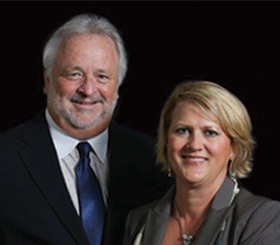 Frank and Anita Lambert are a dynamic, husband & wife duo who have worked together in real estate development, marketing and sales, and custom home construction for three decades. Each bring unique skills and experience to the team, as Frank formed his own successful residential custom home construction company at the age of 19, and has owned and operated his own brokerage companies in the past. Anita is of triple nationality as an American, Swiss and English citizen. She is proficient in multilingual communications and culture, speaking five different languages. Together they have developed three Bayfront boutique developments in Sarasota, as well as a 40-acre development in Colorado. Their vast knowledge and experience in this arena make them an ideal fit for guiding Zahrada buyers through the process of purchasing a home. Frank and Anita have been very involved in the recent renaissance of the urban Rosemary District in downtown Sarasota, and are thrilled at the housing and retail opportunities Zahrada will bring to this thriving neighborhood.